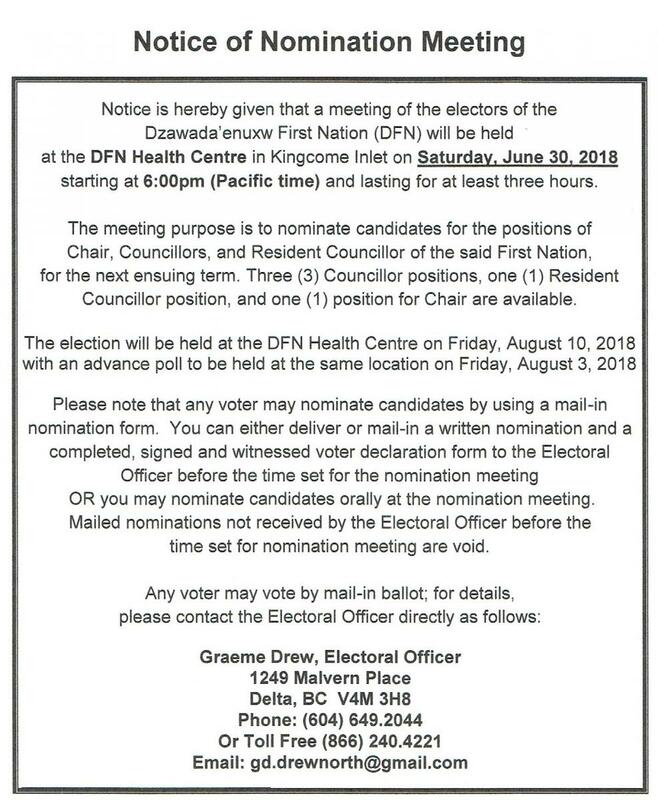 Every 2 weeks, the Dzawadaʼenuxw First Nation Council holds a meeting at 7pm in the Council Chambers, in Kingcome village. On the agenda there are two opportunities for the general public to come in and address the council about their issues. One at the beginning of the meeting and one at the end of the meeting. Take your responsibility seriously and participate in your government. Contact the DFN Administration Office on 250 974 3013 for meeting dates.